Whether you are a hiker, traveler, hunter, or just want to be prepared for anything, one of the most critical pieces of survival gear you need to own is a reliable survival backpack or better known to survivalists as the bug out backpack. It should be able to hold everything you need in the wilderness and sit comfortably on your shoulders while you are on the move. You should keep in mind that the best survival backpack should include a 72-hour emergency kit. So how do you find the best survival backpack for you? 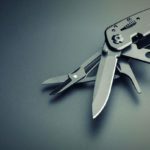 Experienced survivalists will tell that looking for one is not an easy task, but once you find it, everything will come into place and your survival plan will start to take shape. 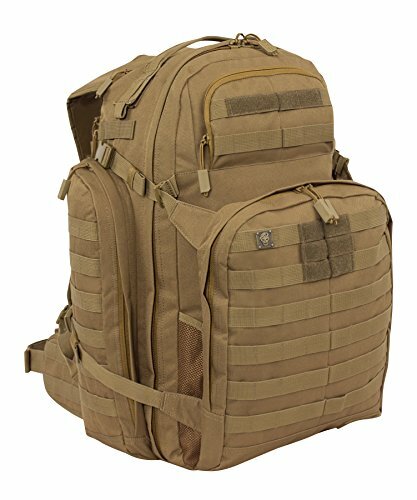 There are a number of backpacks available – civilian and military – and with a few pointers in mind, you can make sure that you find the best survival backpack for you. Click to one of the links to go directly to our overview, opinion, and specs of each backpack. Lightweight: Keep in mind that you will be moving a lot when you are in the wilderness, which means that your backpack should be as lightweight as possible. However, you should also remember that a backpack with an internal frame is awesome as it provides support and function, transferring the weight to your hips. So you should check backpacks that give you the ideal balance of weight and functionality. Comfortable: Comfort is important when buying a survival backpack. This means that it should sit comfortably on your shoulders when you fill it up. Check the width of the straps and make sure that they are adjustable for your body type. Also remember that once your backpack gets heavy, the straps will dig into your shoulders so avoid narrow straps. You should also press the button for a backpack with sternum straps to keep it comfortably positioned on your back. You do not want an off balanced backpack on you so you fall over to one side, do you? You could fall on a porcupine and that would not be good! Padded Straps and Hip Belt: Backpacks with padded straps are a better choice as they provide comfort while you are carrying the backpack. You should make sure that the straps of your backpack are padded. You should also try to get a survival backpack that provides hip support. Hip straps are crucial as they balance the weight on your thighs which have stronger muscles. Without this, the entire weight of your backpack will be on your shoulders and cause pain and discomfort. Good Design: Before picking a survival backpack, get an idea of how much space you need by putting your emergency gear together. You should also weigh everything – from clothes to canned foods – and calculate the approximate total weight. This way, you will know how much space and weight your backpack should have. Keep in mind that you will also need extra storage space for sleeping bags, water bottle, map, knife, compass, (McDonald’s Big Mac, oh no, never mind, different list!) and so on. Your backpack should be well-designed with the right weight and plenty of room for your gear, and also allow you quick and easy access to them. Color: It is best to choose a backpack that comes in a dull color so you do not attract attention when you are in the wilderness or survival situation. Camouflage is also a marvelous choice as it will help make sure that you blend in with your environment. Durable: Obviously you need to choose a well-designed, high-quality survival backpack to give you durability. Your backpack should be able to withstand the environment in the wilderness and the elements. Make sure that you get a quality backpack that you can carry in any terrain without fearing that it will fall apart at any time. Your survival backpack should be sturdy and durable. Air Flow: Most backpacks are made from strong, waterproof materials like modern nylon. The disadvantage is that your back can start to feel warm, causing you to sweat. A wonderful backpack will feature ventilation technology, such as a mesh back panel, to provide decent air flow. You should make sure that your backpack has such technology to allow your skin to breathe and prevent you from getting sweaty and uncomfortable. You do not want to be in a terrible situation like Steve Martin looked in Three Amigos! 20 to 50 Liter Size: Picking the right size is terrifically vital when it comes to survival backpacks. Keep in mind that the bigger yours is, the less room there is for you to move freely. You should have room to move no matter what type of survival situation you are in. A 20 to 50-liter backpack size is ideal – you will have the capacity to carry extra food, clothing, water, and other essentials. Make sure that you are careful about this while choosing a survival backpack. Picking the correct size, i.e. small, medium, large, etc. is one of the keys to finding the right survival backpack for you, and the key measurement is your torso size. Although the torso is not usually measured for choosing a new suit, winter coats or anything else, it is required to make sure that you choose the right backpack for you. For most survival backpacks available nowadays, there are three points of security – load-lifter straps which go over the shoulders, sternum support and strap and sternum straps which go across the chest. All three points need to work together to make sure that your gear rides comfortably on your back. You should keep in mind that for men and women, the hips should support 75% to 80% of the weight of the gear. To measure your torso, place a flexible tape measure at the spot where the top of your shoulders meet your neck – the base of the bottom of your neck. Then, run the tape measure down to the small of your back, making sure that it is between both of your hips. The measurement that you get is your torso length. Extra Small: For torsos up to 15 ½ inches, or up to 39 centimeters, an extra small survival backpack is ideal. Small: Small survival backpacks are the best size for torsos measuring between 16 and 17 ½ inches, or 40 to 45 centimeters. 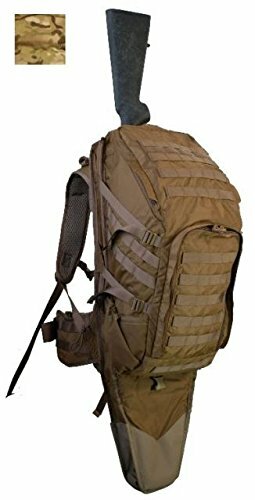 Medium: Medium survival backpacks fit torsos that measure 18 to 19 ½ inches, or 46 to 50 centimeters. Large: Large survival backpacks are designed to fit torsos measuring 20 inches and up, or 51 centimeters and above. As soon as you find out your torso length, you will find that getting the right backpack frame size is not a problem at all. Although the sizes may vary a little, you can use the frame size guidelines provided above unless it is otherwise stated by the manufacturer. However, you should keep in mind that you can adjust each frame size to fit a smaller or larger torso. This is a heavy-duty survival backpack that comes loaded with poignant features. It has a large load cargo capacity compartment with a separate pocket that can easily fit up to 2 3-liter hydration bladders. It has BOliveDraby contour straps with waist belt, sternum strap and D-Ring for attaching equipment. The main compartment has 2 double zipper pulls that give you easy access to gear. For maximum airflow and extra comfort, the Condor 3 Day Assault Pack comes with individual foam-pad back panels. All compartments feature grommets for drainage. Although its quality has been questioned by a few people, this is a tough pack that can take pretty much whatever you throw at it. The main compartment is equipped with gear straps and 2 extra mesh pockets while the second compartment has 2 radio pockets, 3 map/documents pockets, and penholders. With a total of 7 compartments, the Condor 3 Day Assault Pack is a salient choice when you need a quality survival backpack. It may not be Grizzly Bear proof, but it is super strong nonetheless! Opinion: We like the Condor 3 Day Assault Pack, it is comfortable and made with high-quality materials. We believe that this is an excellent product, especially for the price. It is big enough to carry all your gear for any expedition, whether you are going camping or hunting. Other features that we like are the contour straps and sternum strap, they provide a lot of comfort and a good balance of weight. One thing to be aware of is what a few folks think about this backpack, they think is of disappointing quality and not for heavy-duty use, so if you intend to use it a lot, you may want to select another survival backpack. The only thing that we would change is the size of the pockets – We think that they are not made to hold any specific item. But all in all, we consider that the Condor 3 Day Assault Pack is a terrific buy and we would recommend it to anyone in need of a survival backpack. It is certainly better than buying the Jurassic World movie, which was horrendous! If you have not seen that goofy movie, you have not missed much. Some things should remain in the 20th Century, but this is another topic! Made of fleece, the Tactical Rush 72 Backpack is a top-quality survival backpack with a large-sized external shove-it pocket, two exterior gusseted and zippered pockets at the sides and a top exterior crescent-shaped organization pocket. 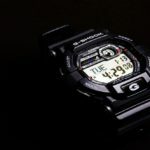 The main body is made from 1050D nylon with PUx2 coating which makes it water repellent. The chest strap may not be as strong as you would like it to be as it may break if you rest your hands on it and pull down with just a little force. Also, the absence of conforming contours may also be disappointing to some since it affects comfort in a negative way. The inside pocket bags and flaps have water-repellent 210D 118 PUx2 coating. 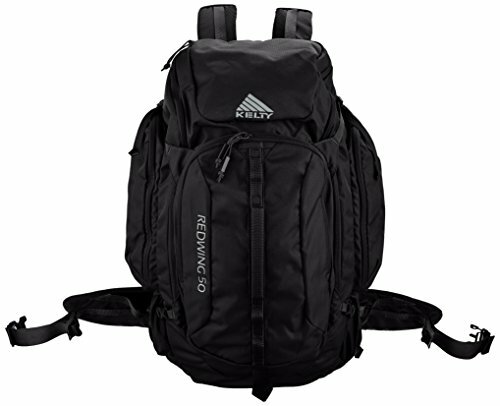 This excellent backpack also has a closed-cell foam back padded hydration pocket with 2 back-to-back zippered pull tabs. The generous web platform on 3 sides of the pack has extra attachment points for those small but important items you need to carry. Comfortable and functional, this is another judicious option for those looking for a survival backpack. Opinion: 5.11 Tactical did a wonderful job designing this product. We think that the Rush 72 Backpack is a top-notch survival pack that is made with high-quality materials and ensuring durability. We find that it is built like a tank, making it perfect for all types of outdoor and survival situations. We also think that it is outstanding for EDC too. A thing you should be careful about is the chest strap – it might break on you if you tug a little too hard. A salient aspect to note! Otherwise, the pack is versatile and we can say that it is comfortable for long distances. If you are looking for the perfect gift for an adventurer or traveler, we are sure this is it. One aspect that can be improved is the ergonomics of the bag – it does not have anything like conforming contours. However, overall, we do not have many things we would like to change and if you pick Tactical Rush 72 Backpack we are confident that you’ll agree with us that it is a great pack to own. It is certainly a better buy than Star Wars: The Force Awakens, which was flat out horrendous! The Rush 72 is amazing, it would pass the Jack Bauer test! 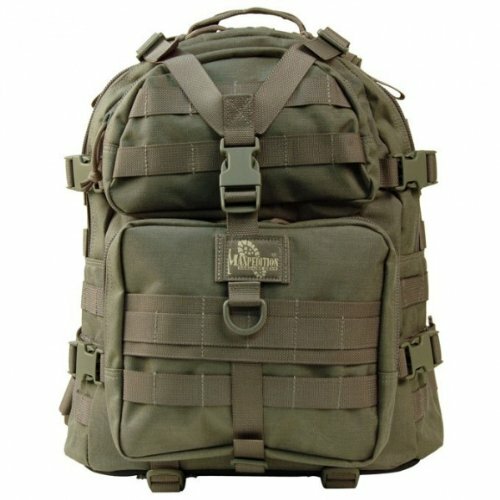 The Maxpedition Condor-II is a high-quality backpack made with 1000-denier coated nylon, finished with a triple-coat of polyurethane that makes it water-resistant. A final coat of DuPont Teflon Fabric Protector is added to protect the backpack from the elements when you are in the great outdoors. The best design and materials are used to make the Condor-II. The handles, straps, and modular attachment points feature military-grade nylon webbing. The buckles and hardware feature genuine Duraflex for extra strength and functionality. If you do not mind a small survival backpack, the Maxpedition Condor-II Backpack could be your top choice. Opinion: This is another sagacious option to keep in mind, this backpack from Maxpedition is tough as nails and the perfect companion for all types of outdoor activities. The quality is outstanding and made extremely well, we find that the compression straps, sternum and waist straps, adjustment features, etc. allow you to adjust the backpack to the most comfortable position for you. We also think that the strong zippers, the strap retention and the good amount of MOLLE webbing for add-ons make it one of the top packs around whether it is for camping, hiking, hunting, etc. or EDC. One thing to note is the size, it is a little small but if that is okay with you, this could be a suitable pack for your expeditions. If there was one thing that we would like to change, it would be the number of compartments – We think that there are not enough, so more should be added. Apart from this, we have no complaints. To finish, we can say that the Condor-II Backpack is tough and comfortable and we highly recommend it to anyone in need of a top-notch backpack. 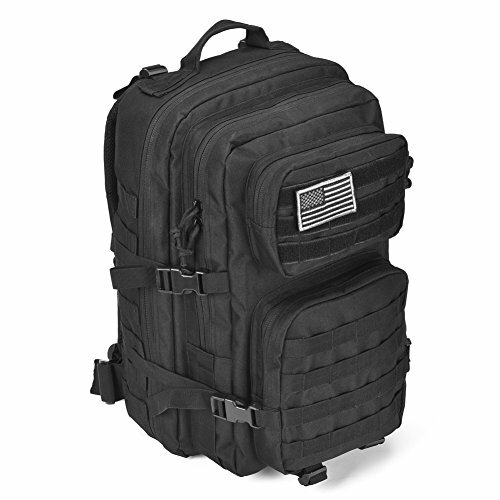 This is an impressive tactical assault backpack with a large capacity of 1,628 cubic inches of storage space for your gear. 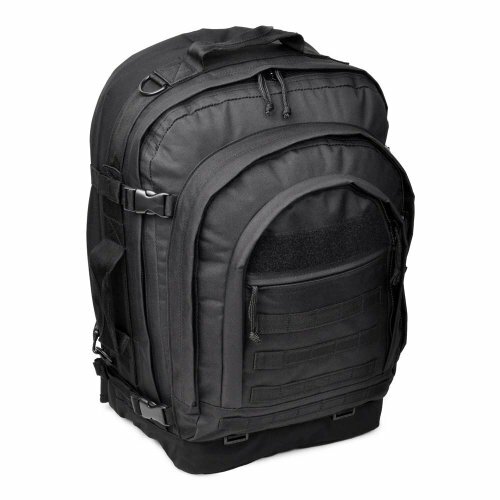 Whether you are traveling, hiking, or on a military mission or day trip, or need a bug out bag, the 3V Gear Velox II Large Tactical Assault Backpack is the bag for you. It has a clam-shell wide opening system that allows you to easily pack your gear in various compartments and sub-compartments. Made with 600-D PVC-backed nylon, this large backpack is rigid, weather resistant, and super-rugged – awesome for heavy-duty use. It also features a hydration bladder. A few customers found the MOLLE straps on the sides of the bag useless – they are not the right size for most accessories. But the Velox II is a superb choice for anyone who needs a super-strong and well-made survival backpack. And if you are trying to walk the Appalachian Trail and have more fun than Katz and Bryson did in the movie A Walk in the Woods, this backpack is a prudent choice. 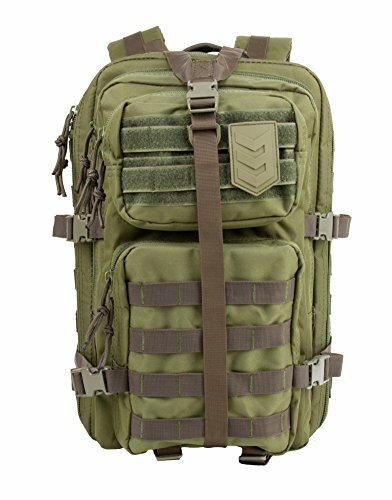 Opinion: We love the 3V Gear Velox II Large Tactical Assault Backpack, we think it is a really good pack if you’re considering buying one. Tough and versatile, we find that it is a fine quality pack that will last you many years. We can also say that this is the perfect backpack for camping, hiking as well as emergency pack for the car – you can use it for anything! The pack has plenty of room for all your gear and we believe that it is an extremely well-designed and well-built product. The hem sewing on this one is rather flimsy and may give in with time and regular use. If there was anything that needs to be changed, it would be the quality of the black cord zippers – we think it needs to be improved. This is a small issue but all in all, we have no problem saying that the Velox II is an awesome tactical backpack for any occasion. Navy SEALS may not use it but if they did, they would be impressed! Made of 600×600-density fabric, this military tactical backpack is highly water-resistant, tough, and durable. It has a MOLLE system so you can attach additional tactical pouches or gear. The ventilated mesh-padded back area and shoulder straps provide decent airflow, making it comfortable on the field. 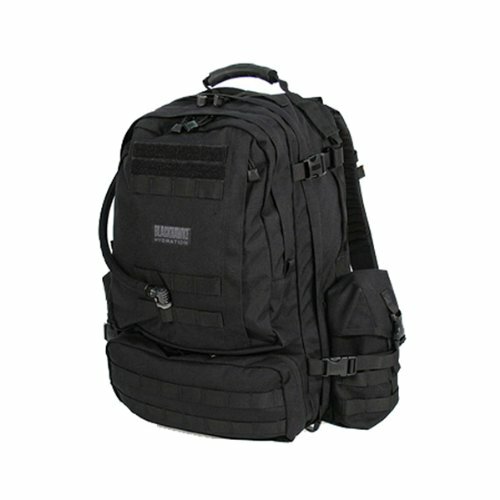 The Reebow Military Tactical Backpack also features side and front load compression system and double-stitched heavy-duty zippers and utility-style cord pulls for added comfort. 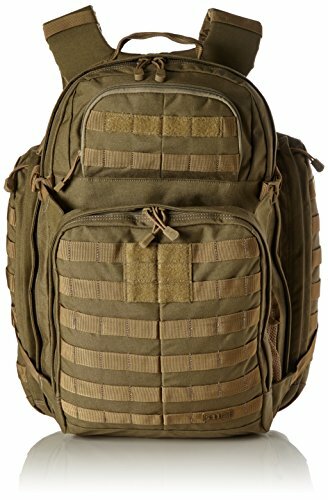 If you do not mind a couple of loose straps hanging around, this is a versatile backpack that you can use as a 3-day assault backpack, bug out bag, hunting or trekking backpack, range bag, survival backpack, etc. 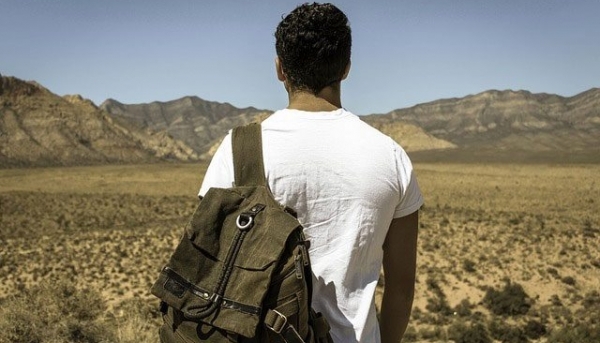 If you want a durable and versatile backpack, this is the one you should pick. Opinion: We are confident that the Reebow Tactical Military Backpack is a great option to keep in mind for a bug out bag. We think that this is an excellent backpack for the price. It has lots of pockets to utilize – which, we believe, is a must in any survival backpack. It is the perfect size and comes with enough pockets for storing any gear that you need to. One thing to note is that the side MOLLE strips are not properly spaced but that could be a defect in a few units. We find disappointing that the Reebow Military Backpack does not come with a hydration bladder – it would be a much better survival backpack if it did. Apart from this, there are no complaints. No doubt, this is a versatile backpack making it ideal for all types of outdoor activities, that’s why we highly recommend it to anyone who needs a great pack for survival. James Bond may not have needed this backpack in Spectre since that movie was ridiculous but in Skyfall and Casino Royale which were far more realistic and better made, this backpack would be excellent! When it comes to survival backpacks, the X3 LoDrag backpack is one of the top choices on the market. This awesome backpack even features a tactical weapon-sized scabbard! The LoDrag design gives the pack a unique contour shape that tapers at the top and bottom, providing a comfortable close-to-the-body ride. X3 LoDrag packs are fully compressible as they come with side-mounted compression straps so that your load is drawn upward, optimally positioning the backpack over your center of gravity. This backpack also boasts a number of MOLLE/PALs compatible webbing so you can attach extra pouches for your gear. While some customers were a bit surprised by a missing half of the main waist belt (which could be a one-off production defect), if you want a strong, comfortable and reliable backpack, you should definitely pick the X3 LoDrag for your survival pack. Opinion: We think that the Eberlestock X3 LoDrag Pack is an awesome product and a salient choice to keep in mind, thanks to its great features. It is made with an impressive level of quality. We can say that this is a tough and durable pack that comes with plenty of storage space for all kinds of gear. It is also made with high-quality materials, making it a very comfortable backpack to carry around. A flip side of this bag is how large it is and may not be suited for women or men with a smaller frame. Some aspect that we would like to change are the water bladder pockets – they are not as flexible as they could be, making them a little difficult to use. Other than this, there are no negatives about this top-notch pack. All in all, we are pleasantly surprised by the X3 LoDrag pack, it is a solid choice if you’re in the market for one. Alejandro in Sicario would accept this backpack in his quest to avenge his own family. Made of 100% polyester, the Barrage Tactical Pack boasts some excellent features, making it one of the best survival backpack choices available today. It is MOLLE-equipped and comes with Velcro patch holders and name-tape. It has both left and right hydration hose ports with a rear-access hydration-compatible pouch and Velcro closures. With the yoked shoulder strap system, adjustable sternum slide and padded waist belt, you can be sure that you are always comfortable. A number of users grumble about the absence of a hydration bladder (let’s face it – most backpacks do not have one), but if you are looking for one, this may not be the right buy for you. If you are looking for a survival backpack with quality, comfort, and durability, the SOG Barrage Tactical Pack is perfect. Opinion: The SOG Barrage Tactical Pack comes with many great features, but the one we like the most is its removable aluminum frame, a great option to have if you want to reduce the weight of your pack. If you’re on a budget, you’ll be happy to know that it has a great price tag. We also like that it has a lot of room for all the survival gear you will need in the great outdoors. Another feature that makes this pack a sagacious choice are the numerous pockets which are extremely handy for additional gear, but for some, this can be an inconvenience since that having many does not mean they are useful – in most cases, they are the wrong size for extra gear. If we could change one thing about the Barrage Tactical Pack, it would be that it is not made for heavy-duty use. If it was, it would be the ultimate survival backpack. We also wish that it included a hydration bladder. But all in all, we can finally say that this backpack comes with good features overall and it is a definite must-have for anyone looking for an appropriate backpack. Hawkeye (Nathaniel Poe) from Last of the Mohicans would have loved to have this product. Made of 600-Denier poly/canvas, this is an awesome-looking and well-built bug out bag. It has an expandable main compartment and plenty of sub-compartments and pockets for extra gear and accessories. It is a rugged, abrasion-resistant exterior, making it ideal for all types of outdoor activities. The padded waistband adds extra comfort while you are on the go. Keep in mind that extra padding on straps and bands means weight – this could be a little heavy for those who are used to carrying lightweight packs. This is a versatile product from a trusted name and comes at a great price. It is spacious and tough, making it one of the top choices for a survival backpack. Opinion: We can say that the Sandpiper of California Bugout Backpack is a well-designed and well-made pack. The waist strap is excellent, taking pressure off your shoulders and allowing you to carry a full pack without any problem. But you may find, that the MOLLE straps are quite unnecessary. With sterling material and zipper quality, we think that this is an awesome heavy-duty backpack for all types of expeditions – traveling, hiking, hunting or on a tactical mission. We have no problem to say that you cannot go wrong with a product from Sandpiper of California. If there was one thing we would like to change, it would be the weight – it is a little too heavy. Apart from this, we have no major complaints and we believe that it is an excellent purchase if you need one. The Sandpiper of California Bugout Backpack is a serious survival backpack that gets the thumbs-up from everyone including McKnight from Black Hawk Down! The Kelty Redwing 50 is one of the best packs you will find today. With a Hybrid-loading, U-zipper design that works as a top loader as well as panel loader, you get easy access to all your gear anytime. It also features a LightBeam single aluminum stay and Dynamic AirFlow back panel that keeps your load stable and ensures your comfort. The Redwing 50 also comes with a zippered stash pocket, zippered side pockets and large front pocket so you have plenty of room for anything you need to carry. With this backpack, you get air-mesh shoulder straps, dual-density foam waist belt, Dynamic AirFlow back panel and a lumbar pad to keep you cool and comfortable wherever you are. If you are looking for a pack that is light, you will be disappointed as this one is on the heavier side so if your name is Napoleon Dynamite you probably do not want this one. You can find a number of other brands that are lighter and handier. Opinion: We think that the Redwing 50 is a well-designed pack. Its no-hassle compression straps and excellent accessibility to the gear you carry is what makes it a popular choice among travelers and outdoor enthusiasts. We like how well built and sturdy is and also its price, this makes it a great option worth considering. We can also say that it is a durable and very comfortable backpack, making it a versatile pack for all types of situations – whether you are traveling or bugging out. If there was anything that we would like to change, it would be size and weight. We find that it is a bit heavy and large, especially to use as a daypack. Otherwise, with its many different compartments and pockets, we believe that the Redwing 50 is the perfect survival backpack for anyone in need of one. Made of heavy-duty 1000-Denier nylon, the Titan Hydration Pack is an amazing survival backpack. It has reinforced stitching that makes it highly durable. 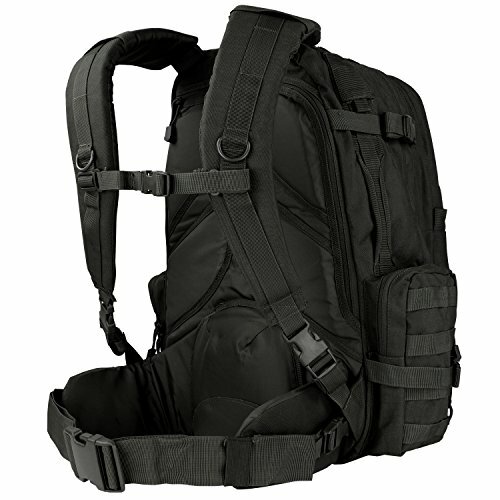 The Titan Hydration is also a large, functional backpack that features 2 of BLACKHAWK!’s best-selling pouches. Apart from this, this awesome pack also comes with a Drink System with protection from Microban antimicrobial treatment and a Bite Me bite valve as well as a patent-pending quick disconnect system. While one of its drawbacks is, like the backpack mentioned above, its weight, when it comes to survival backpacks, the BLACKHAWK! Titan Hydration Pack is definitely one of the top picks out there and it would probably receive a thumb’s up from The Punisher (Jon Bernthal). Opinion: We think that the BLACKHAWK! Titan Hydration Pack is an awesome product. Many customers say that they have had this backpack for a couple of years and think it is one of the best ones around, hands down. We believe that the pack has an impressive design as well as excellent build quality. It has plenty of room for everything you need to carry and lots of pockets and pouches for any extra gear you need to have. Another great feature is the waist strap and shoulder straps, they are comfortable and easy to adjust to your liking. If there was anything to change, it would be the bottom pouch – it is a little too small to hold anything much. However, this is the only small complaint we have. Otherwise, we can say that the Titan Hydration Pack is a smart investment, worth every dollar you spend. Finding the right survival backpack may not be the easiest task, but with the products listed above, you can have a sparkling idea of the high-quality packs that are currently available on the market. This will help you make an informed decision and pick the best survival backpack suited to your needs. Just do not ask Napoleon Dynamite for his opinion on this matter!